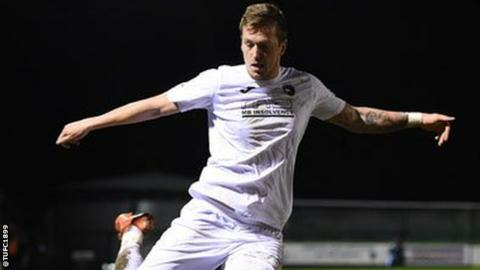 Defender Ben Gerring has agreed a new one-year contract with Torquay United. The 25-year-old said it was a "no brainer" to remain with the Gulls after initially signing on non-contract terms last October. He has made 13 appearances for the National League side, who finished 18th in the table. "I don't think the fans have seen me at my best yet. My aim is to show everyone what I'm about next season," he told the Torquay website. Torquay manager Kevin Nicholson says Gerring had come to the club as "third choice centre-back" but had "far exceeded" his expectations. "He's absolutely fantastic as a character" Nicholson added. "He has a tough summer ahead with me in the gym, along with a few others. He needs to look at that as fun, and as a massive thing that is going to help him have a career." The Gulls were eight points from safety at the end of February, but managed to finish three points above the relegation zone.